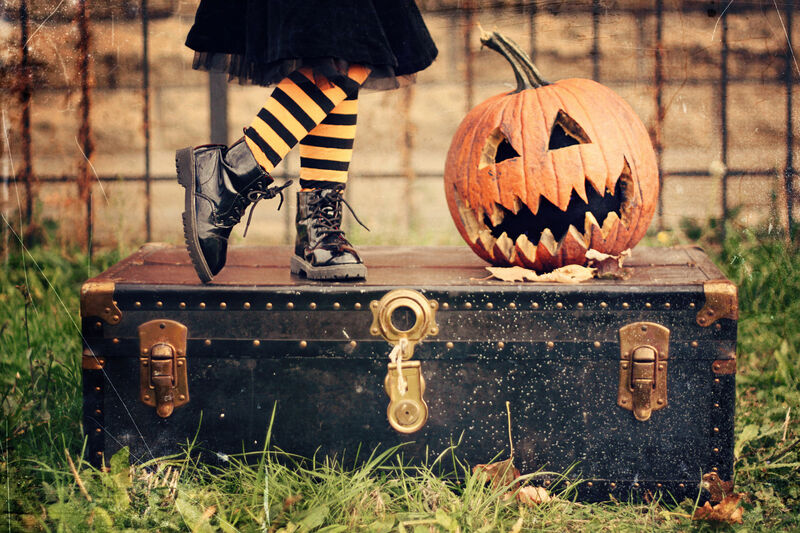 You’ve made sure the pumpkins are carved, the costumes are made, and the candy is stocked (well, who knows if that will actually last until October 31st). Now all you need to make your Halloween spectacular are a few last-minute decorative touches. 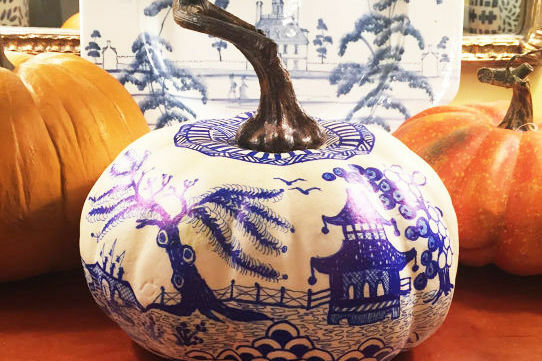 We searched and scoured the Internet for our favorite Halloween decor from some popular go-to online shopping sites. Just because you haven't been planning the party for weeks doesn't mean your home can't be as spooky as the the rest. 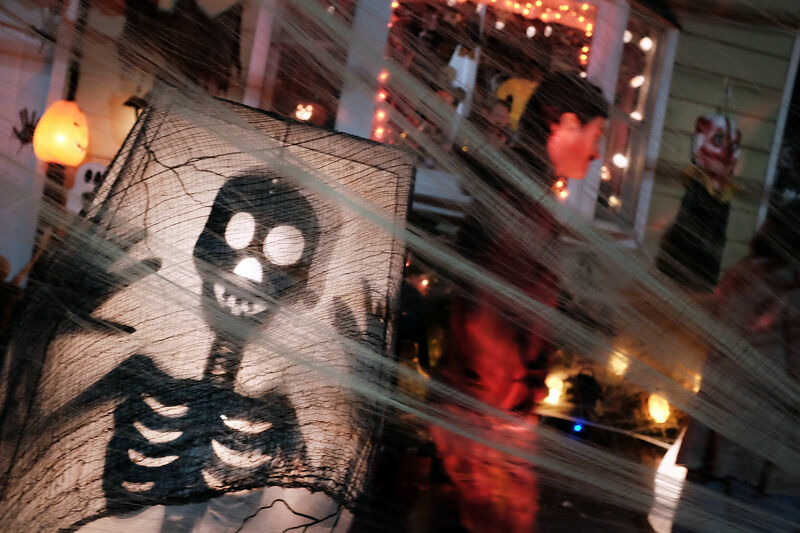 Prepare for the creepy-crawlies, haunted spirits, and trick-or-treaters to stop by your house. You don't want to disappoint when it comes to a good scare or something frightfully fun. 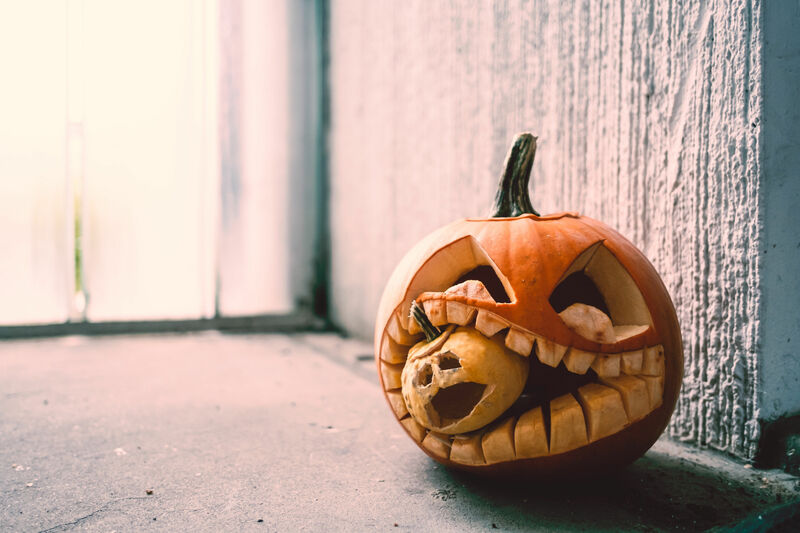 From scary Halloween items to cute fall decorations that’ll last all season, we love decorating for this fun and festive holiday. Order soon and they’ll arrive just in time for Halloween to make sure your home will be the best trick-or-treating stop on the block. These smiling shades will cheer up your Halloween spirits. This fake flame will mesmerize while you're making potions. These cheery lights are perfect if you don't feel like making a mess with caring a jack-o-lantern. This fog machine will take your lawn to the next level. Give your mantel and extra touch of Halloween with cobwebs. Make your sips spooky this Halloween with these labels. You can also purchase ones for beer and wine. This spooky surprise is guaranteed to scare your guests when they wak into the room. This inflatable cooler can store all your potions...or drinks. These plastic picks will bring fun to your finger foods. Keep your drink cool this Halloween with these skeletal molds. 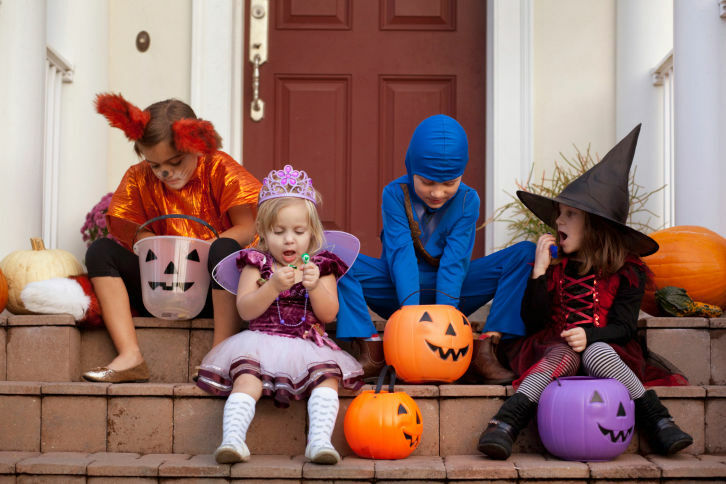 Greet your trick-or-treaters with these walway-warning signs. This super-Southern holiday wreath is the right way to celebrate the season. This adorable felt mummy will sit perfectly on your mantel. This witch-y welcome mat is sure to set the tone when guests come to your door. To up your game, add a pressure-sensitive sensor that screams when stepped on.